Agreed. All of these combinations created a phenomenal film. 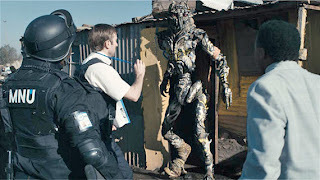 I plan on posting my District 9 review sometime this weekend, so be sure to check it out. I have a feeling the alien dialogue was inspired by some African languages. They've got a lot of tongue-clicking sounds. @Anonymous: Great review Mamser. But I think you're a sir. @mela: Exactly! The tongue-clicking is win. They also used the tongue-clicking in Attack of the Clones for some aliens. And let's not forget The Gods Must be Crazy. Hehe.